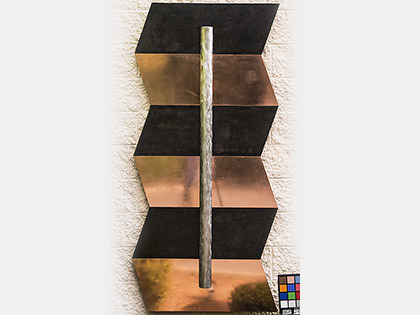 When consulted, the artist mentioned that he intended the stainless steel bar to appear as if it is floating in front of the copper. 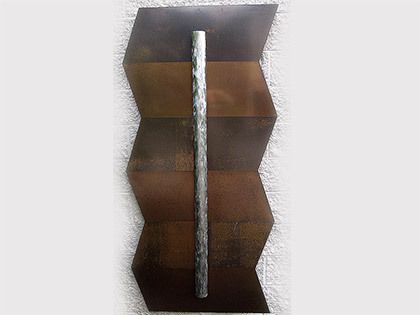 Originally the large, flat copper piece was treated to give it very distinct, alternating darkly patinated and highly polished sections to contrast with the stainless bar. The stainless steel bar was removed and the copper was polished. Select areas were chemically patinated before protective coatings were applied overall.